Tracking information is sent to you directly. Please pay attention to the DATE and TIME of delivery so that you will be present to receive your order that suggests refrigeration at the time of delivery. VSL ships worldwide on Monday, Tuesday, and Wednesday. It will be delivered by USPS Priority Mail. We recommend purchasing expedited (Fedex 2 Day Air) shipping during the summer months. Note – No Fedex 2nd Day Air delivery on Saturdays. 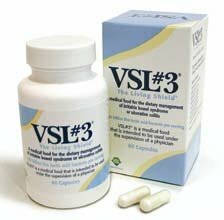 VSL3 is always refrigerated in our store. VSL is freeze-dried and can be without refrigeration for up to 2 weeks without adversely affecting the potency of the good bacteria for up to 2 years. Shipment includes a cold pack. It is customary for it to melt by the time it is delivered. 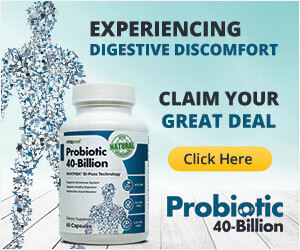 2-8 capsules daily depending on condition. Other ingredients: Microcrystalline cellulose, stearic acid, silicon dioxide, magnesium stearate, and vegetable capsule . (hydroxypropyl methylcellulose). Start with 1 capsule per day. 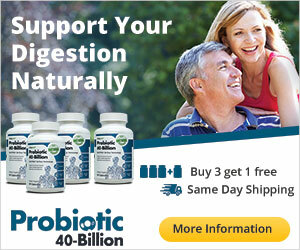 Increase slowly until you each the ideal number per day that will alleviate your digestive symptoms. ATTENTION: Tracking information is sent to you directly. Please pay attention to the DATE and TIME of delivery so that you will be present to receive your order that requires refrigeration at the time of delivery.